It’s just a number, but numbers are significant in our lives. They mark. They measure. They matter. They make an impact on nearly everything we do, including the passage of time and space, the years of our journey. Sunday Series 100 is significant as a milestone in my journey of telling stories, other people’s stories, those which offer courage, hope and inspiration. Yet at the same time the number is insignificant, because it’s the story that’s important, certainly in the lives of those who have the courage to tell it, and in my life, as I accept the responsibility and embrace the experience of sharing it with the world. 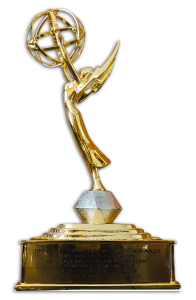 For Sunday Series 100, I am incredibly honored to share the journey of someone who has a view from the top. A man who made his way to an important position of power in the state in which I live, only to be challenged almost immediately, not by other political forces, but by the simple will to survive. You don’t claim these titles because you want to, you claim them because you earn them. To go from fear, to fortitude, to good fortune – you have to fight, you have to battle, you must have unwavering faith and you must never, ever give up. 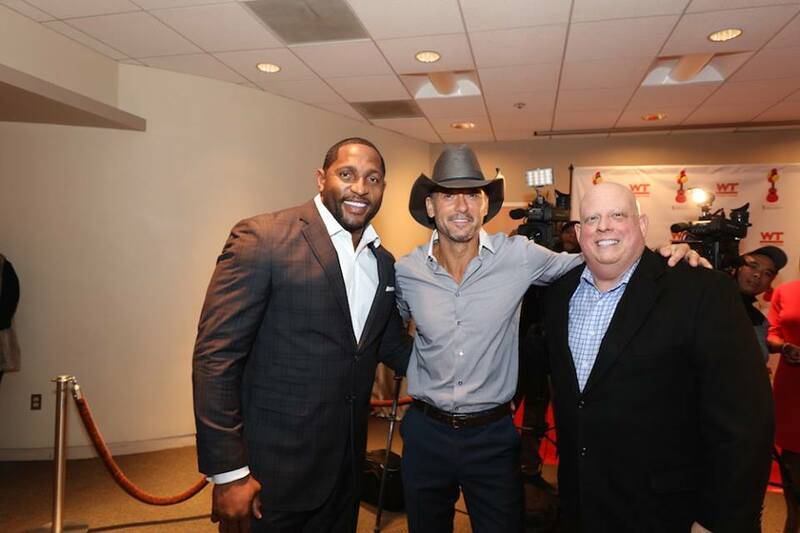 Meet Lawrence Joseph “Larry” Hogan Jr.
Larry Hogan Sr. & Jr.
To have a dream and make it come true is the ultimate goal in life – and few of us get to live the experience. 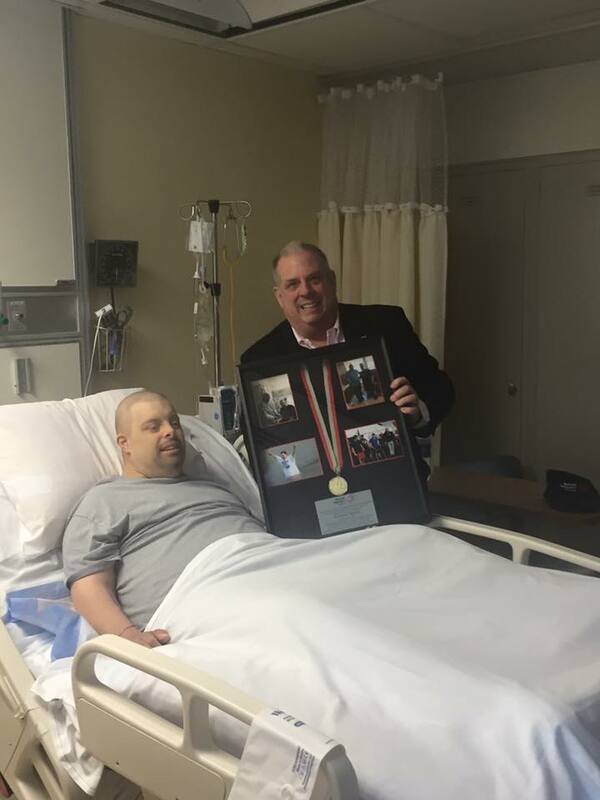 Larry Hogan is one of the fortunate, though fortune is only won because of hard work, perseverance and a dedication and belief in yourself. 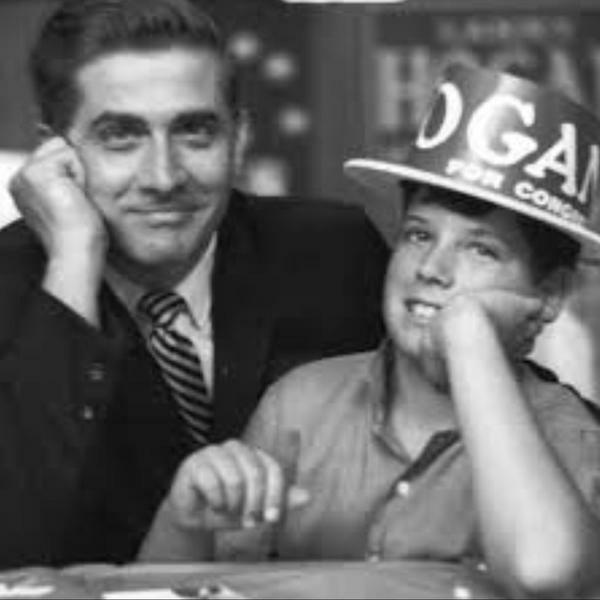 In 2014 Hogan was a long-shot to win the top political spot in the state of Maryland, not because of character, or like-ability, in fact he will always be known as the honest and down-to-earth “Larry” to his closest friends. No, he was a long-shot because he represents the minority of those who affiliate with a political party in Maryland. 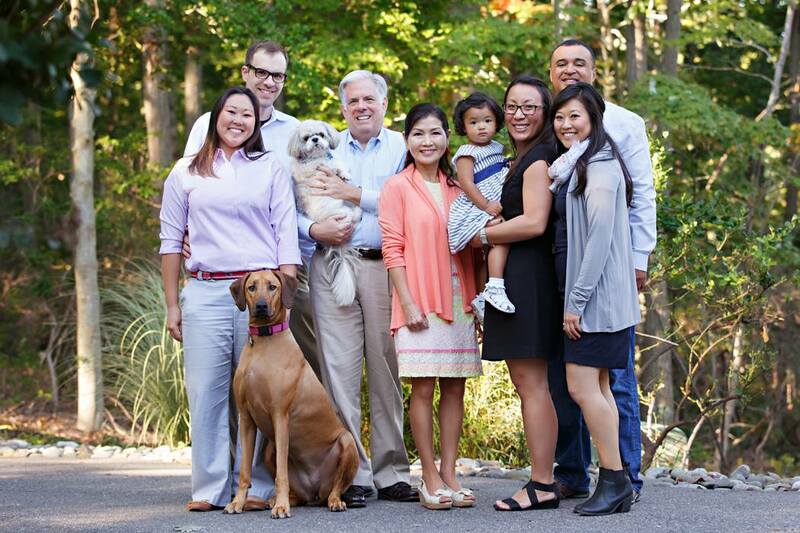 But on November 5th, 2014, Hogan won the biggest election in the state, defeating the Democrat, Lieutenant Governor Anthony Brown, in a landslide. 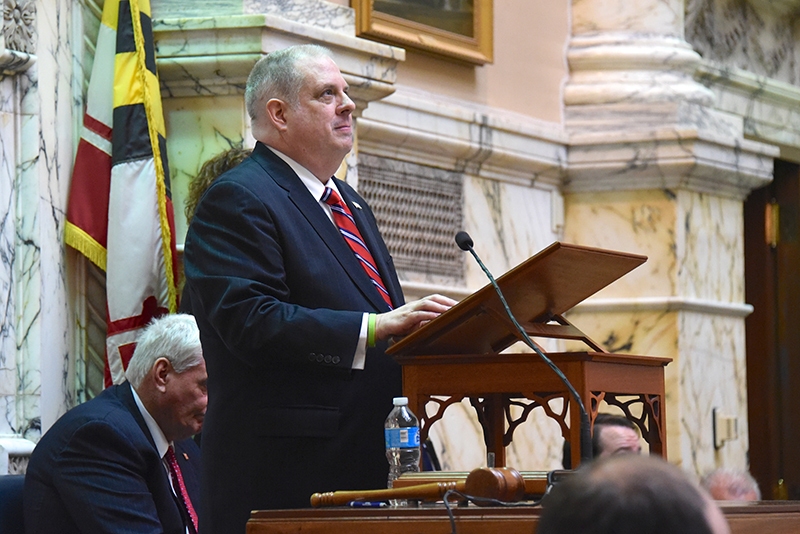 In a state where Democrats outnumber Republicans 2-to-1, the margins of Hogan’s victory were significant, and so for only the second time in 40 years, a Republican would lead the way as Governor of Maryland. The victory had been an uphill battle from an underdog who is used to fighting hard. Hogan has always been a fighter, but as big as the win was, it was simply a precursor of a much larger battle looming on the horizon, one which would put politics and life in perspective. 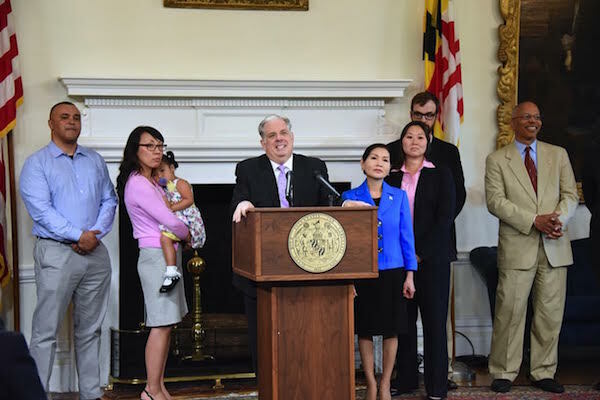 Hogan was sworn in on January 21, 2015, but only six months later, almost to the day, he stood at the podium in the State House to announced to Maryland and to the world that his robust political agenda would face its greatest challenge, not from the members of the General Assembly, but by a beast living inside of him. 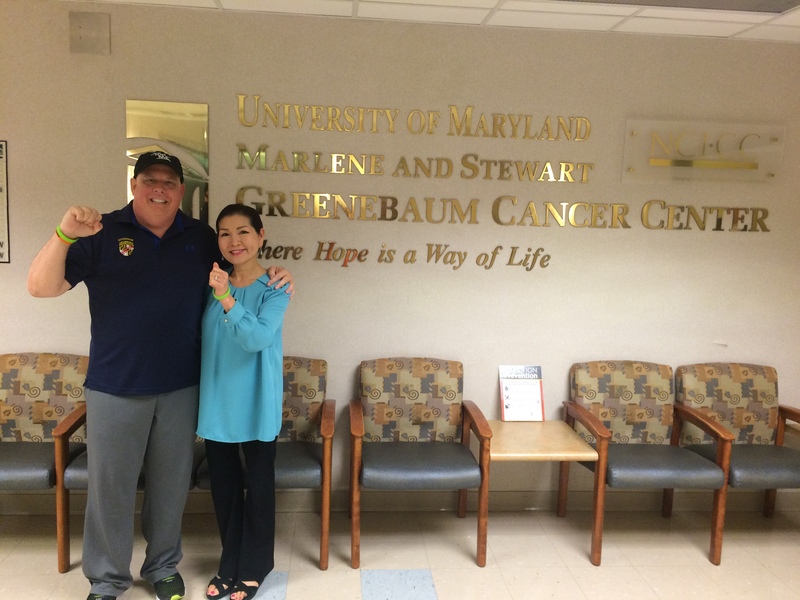 He had discovered a lump in his neck and it had been diagnosed as late stage-3 non-Hodgkin’s lymphoma, a very advanced and very aggressive form of cancer. The political game immediately conceded to health concerns and the will to survive. 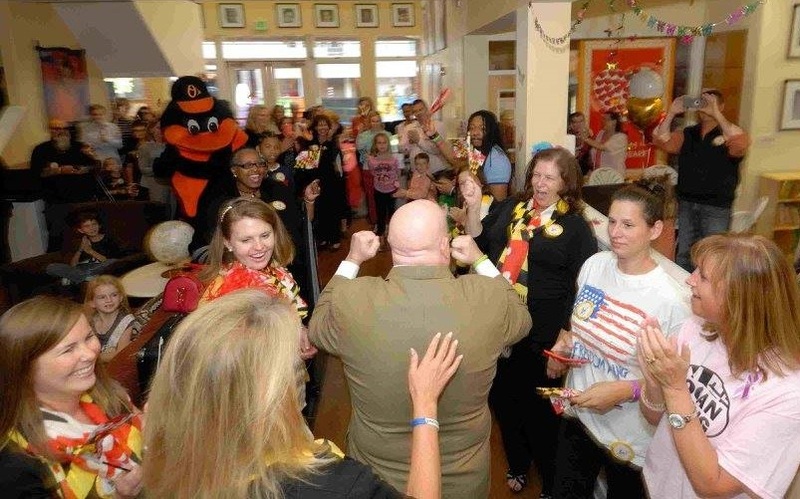 One of those people is a special woman, who in January of 2015 became the First Lady of Maryland. 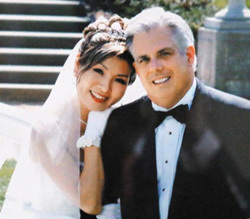 “One of my biggest supporters was my wife, Yumi. We would start every day with a prayer and she was always by my side. Every cancer warrior has their own story and so many gain inspiration from others fighting for survival, those who are trying to beat back the beast as well. To become a hero in this struggle you must look for others who are doing the same. 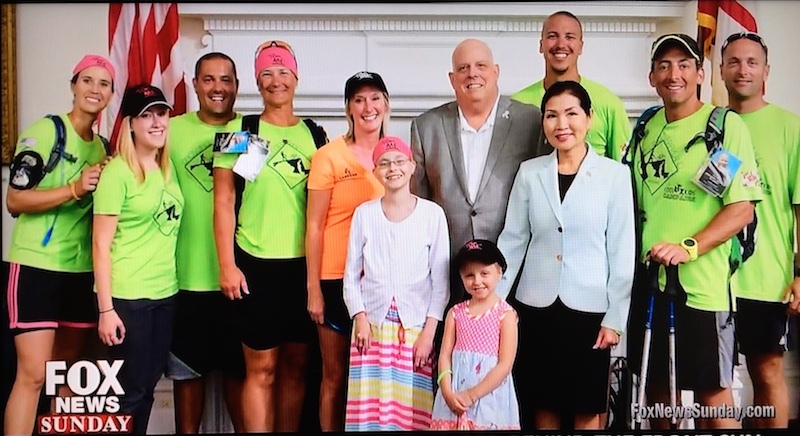 Hogan & Jimmy Myrick Jr.
Fortunately for Governor Hogan the road in his cancer journey did not become the one less-traveled. 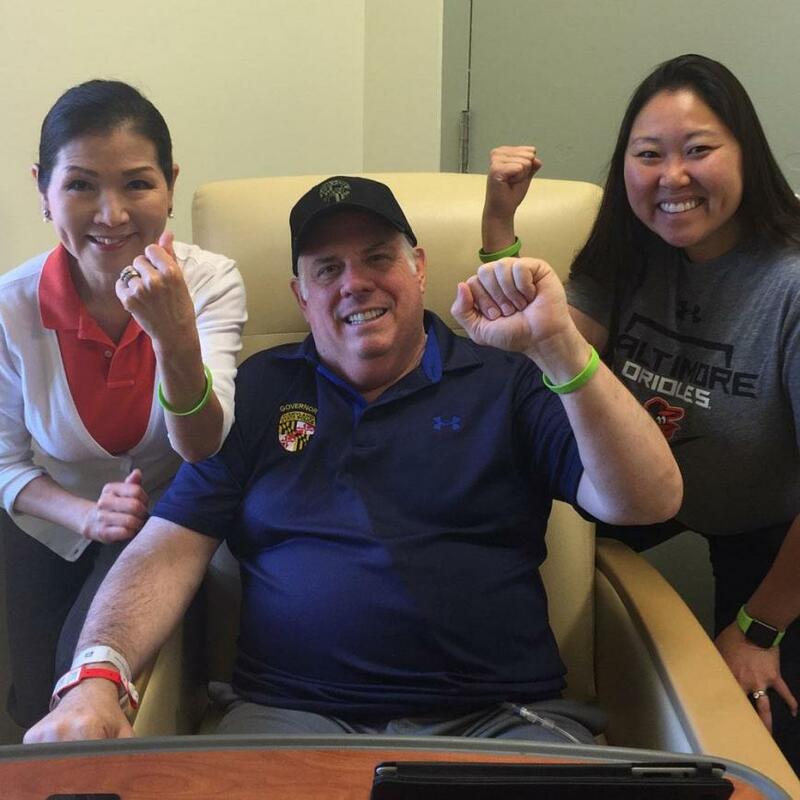 Instead, the intense chemotherapy regimen to fight the lymphoma worked, and just before Thanksgiving the governor announced he was in remission, although he still gets monthly treatments to keep the cancer at bay. To truly live the journey of life you will undoubtedly be faced with challenges, some which at times may seem insurmountable. And that’s why you need the power of others. One is too small a number to achieve greatness, you can’t do anything of real value alone. 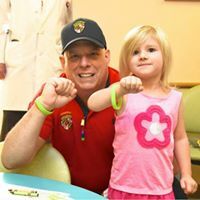 If you are going to be a hero in your battle against cancer you will rely on other heroes to champion your cause, to support you during your struggle – to love, to serve, to care. 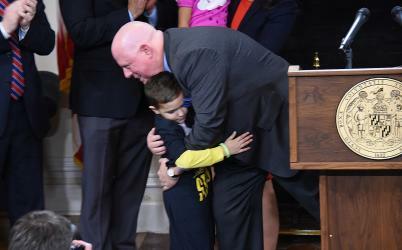 Governor Hogan knows he has been blessed to meet heroes at every twist and turn in his journey. Thank you to all the Heroes, every one. 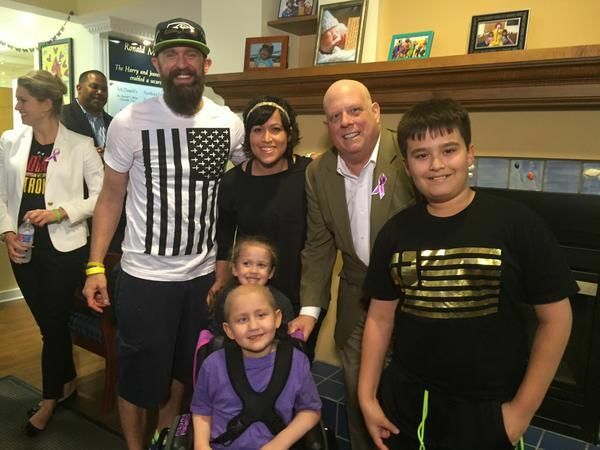 What a great story for #100!! 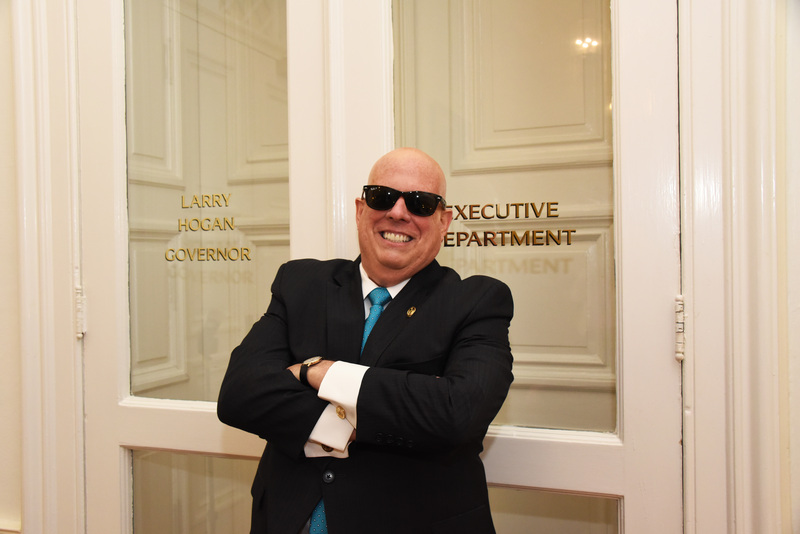 Love Larry Hogan!! A really true, honest person who cares for our state. Great writing as usual, Mark. Can’t wait for your book to come out!! Love from Sunday Series #60! !